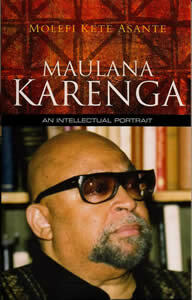 Swahili (or Kiswahili) functioned in the 1960s & 1970s as a symbol of ‘Pan-Africanism’ and was employed by Ron Karenga* in the creation of the Kwanzaa holiday rituals. In addition, Swahili now functions in US pop culture as a catch-all African language. The words below reflect both of these tendencies. Swahili might have been chosen both as a political unifier as well as a palatable commercial tool because it has always been a very trans-national language. It was based on regional economics in East Africa, the Middle East, and the Indian Ocean, with its first script being the Arabic script and then shifting to latin or roman characters with the arrival of European colonizers. 35% of the words in Swahili are said to be of Arabic origin. Another feature of international languages is their ability to assimilate foreign words, which, in addition to Arabic, Swahili has done with words from Persian, German, Portuguese, English, and French. Swahili functions as a wide-spread second language for East Africa and because of this, German and English colonizers used the teaching and implementation of Swahili to establish their influence over many different groups all speaking separate languages. The standardization of Swahili’s written language occured in June of 1928 at an interterritorial conference held in Mombasa, Kenya. The Zanzibar dialect, Kiunguja, was then selected to be the basis for standardizing Swahili and modern Swahili, taught as a second language, is essentially Zanzibar Swahili despite some divergences. Here’s a few (unverified) words you might recognize. umoja – unity. This is a very popular word for cultural and social movement groups especially in regards to ‘African Unity.’ Hence: “Umoja – The Spirit of Togetherness” dance troupe from South Africa. uhuru – freedom Thus: Uhuru Furniture & Collectibles in Oakland and Philly! Several of the above words, excluding the Kwanzaa principles, are borrowed from a strange yet poignant article on buzzle.com called “Swahili and its Popularity.” Below is a fascinating excerpt. Still in Lion King, there is this very beautiful and happy song, called “Baba Yetu”, which means “Our Father”, and is, in fact, the Lord’s Prayer translated in Swahili. And here are the words: “Baba yetu yetu uliye (Our Father, Jesus, who art)/mbinguni yetu, Amina! (in the heavens, amin! )/baba yetu yetu uliye/Jina lako milele litukuzwe (Hallowed be thy name)/Utupe leo chakula chetu tunachohitaji (Give us our daily bread)/Utusuhamele (forgive us of)/makosa yetu, hey! (our trespasses)/kana nasi tunavy owasamele (as we forgive others)/waliotukoseo (who trespass us)/Usitutie katika majaribu lakini (Lead us not into temptation)/ Utuokoe (But)/ na yule (deliver us from evil)/milele na yule (and you are forever and ever)”. So there you are! Now whenever you see some anonymous ‘African’ language in a Disney movie or in an activist context, you might want to bust out your Kiswahili dictionary to see if its not in fact Swahili! Very informative post. I had no idea jenga came from swahili. Yes. I’m sure there’s plenty I missed too. Now I need to go back and watch Lion King.